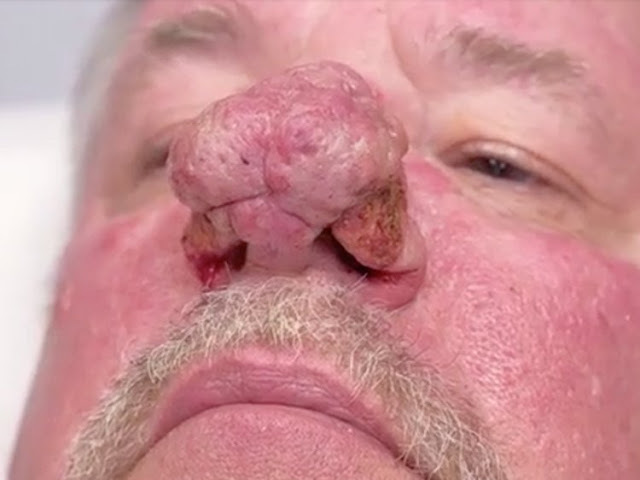 DUE TO EXTREME RHINOPHYMA THIS PATIENT CANNOT PROPERLY BREATHE THROUGH HIS NOSE | DR PIMPLE POPPER - Pretty Mundne!!! So rhinophyma is a form of rosacea which commonly occurs in men. It causes the skin around the nose to become enlarged and bulbous. The nose may look red, swollen, and distorted. Although the exact cause of rhinophyma is not known. 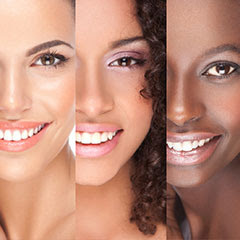 what is known is that the risk factors for rosacea are. Caucasians are also more prone to have this. Being middle aged or having a family history. Although people have assumed that high intake of alcohol and caffeine can affect it. There is no proof of that yet but then again there is no proof that dairy causes acne but as I said in my last post about my acne cutting down on my dairy consumption really did help me a lot, so it may be worth a try. Symptoms of the skin disorder includes, redness, sensitivity,swelling,enlarged pores etc. Antibiotics are usually used to treat the disorder but surgery is mostly the only way out.